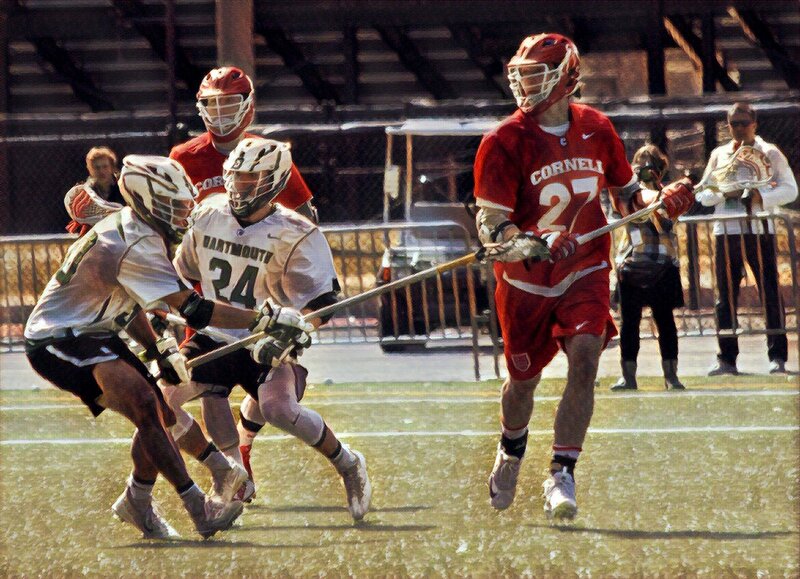 For the first time in its long and storied history, the Cornell men’s lacrosse team amassed 20+ goals in three consecutive games when the 14th-ranked Big Red downed Dartmouth, 22-11, this afternoon at Scully-Fahey Field. With the win, Cornell improves to 6-3 overall and 2-1 in the Ivy League. The Big Red’s offense was clicking on all cylinders, as the visitors scored its 22 goals on just 27 shots on goal and assisted on 17-of-22 goals. The midfield accounted for 18 of the Big Red’s goals, led by Jordan Dowiak’s career-high five goals and Connor Fletcher’s career-high six points (four goals, two assists). Clarke Petterson registered three goals and two assists, while freshman Jonathan Donville added three goals. Sophomore Jeff Teat handed out a game-high four assists. In total 10 Cornell players registered multi-point games, with 15 finding their way into the scoring column.